PRICED TO SELL! DEMO ONLY new model CV3550 is available. Still full warranty on Floor model 1 only! The 2340CV Cover Stitch is an advanced serger, which allows you to create a wide range of cover stitches on all types and weights of fabric for both decorative and constructive applications. Expand your creativity with the 2340CV's advanced technology. 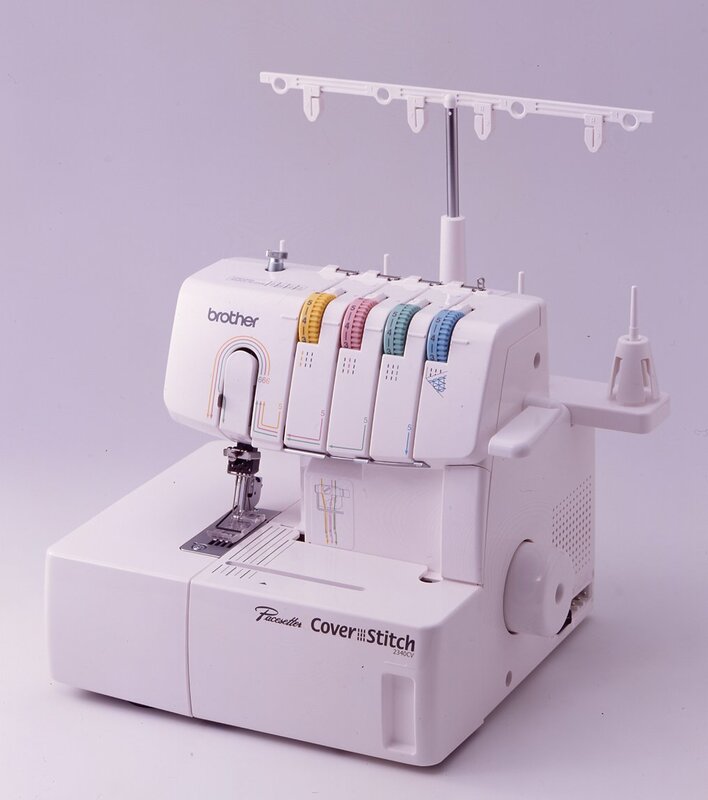 It features a tri-cover stitch, wide and narrow coverstitches, colour coded threading, easy looper threading, adjustment dials for stitch length, a presser foot dial, snap on feet and differential feed which allows you to alter the speed at which your fabric is feeding through the machine. With 3 needles and one looper thread, the coverstitch machine creates professional hems, chain stitch and decorative stitching- great for making the perfect T-shirt in no time!